The 1930s will motor into town with this year’s Christmas Dinner Show “The Sanders Family Christmas” at the Arts Center of Cannon County. 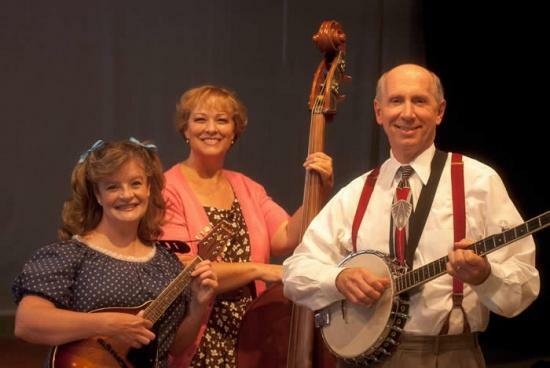 In this family friendly sequel to the ever popular hit “Smoke on the Mountain”, the Sanders family returns to Mt Pleasant Baptist Church just in time for the holidays with a nostalgic evening of bluegrass gospel music and yuletide cheer. More than two dozen Christmas carols, many of them vintage hymns, and hilarious yuletide stories from the more or less devote Sanders family keep the audience laughing, clapping and singing along with their Christmas favorites. Performance dates are Dec. 3, 4, 5, 10, 11, 12, 17, 18, & 19. Tickets are $25 per person and include dinner, drink, dessert and the show. Sander’s Family Christmas is sponsored by First National Bank.